It’s easy to tell we’re the closest city to the Starbucks that started it all. Remember when there were two downtown locations kitty corner from one another? That was crazy. There’s still the Starbucks Reserve on Main St. (read: cooler, more expensive decor), but there are a million other ways to get some caffeine in you. And, honestly, we’re all about the neighborhood shop. From pour overs at cozy bakeries to local roasters with tasting rooms to high-tech coffee chemistry labs — we’ve pulled a list together that’ll help you plan your next coffee date. You’ll see this logo on coffee bags at a good chunk of coffee shops around town. The roastery near Hasting-Sunrise opened an on-site coffee bar and, later, three more cafes (in Kitsilano, the Kensington-Cedar Cottage area, and Oak St.). Each cafe is super-spacious and rides out their namesake with the shipping-pallet-as-furniture trend. If you want to get into the industrial side of coffee, visit Agro Roasters in Strathcona. There are very few, if any, other cafes on Clark Dr., but the neon hands holding a cup will help you find the shop. 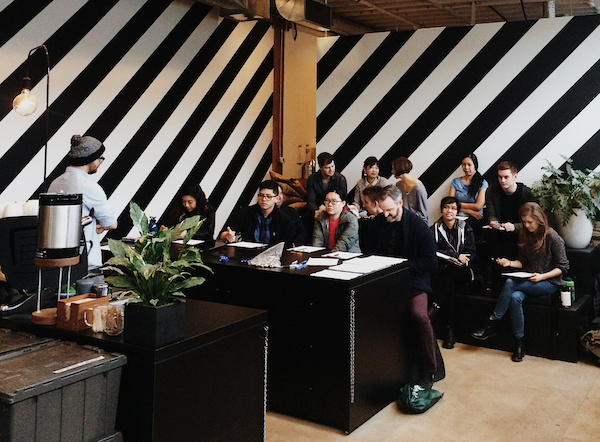 These guys are a micro-roaster with a small and modern tasting room and super-friendly staff. Try their organic, specialty coffee while watching (and smelling) the roaster work its magic in the back room. 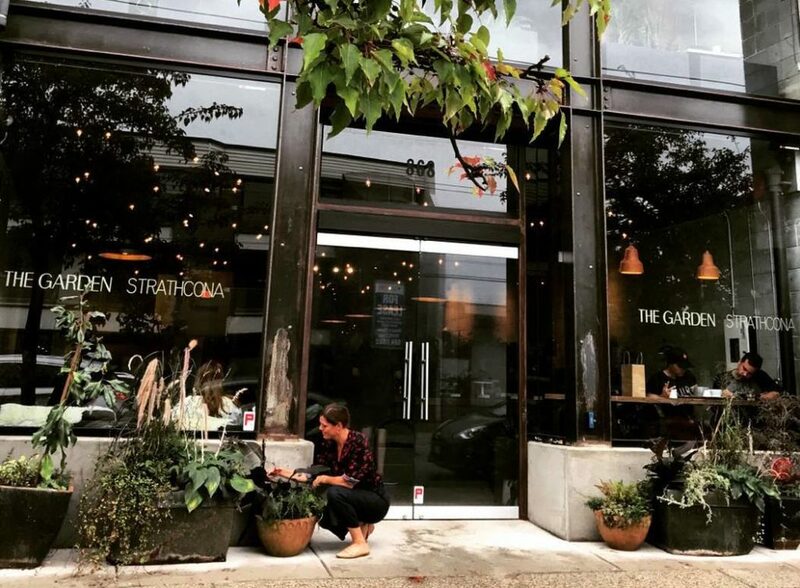 This Strathcona gem serves up Agro Roasters coffee in a cozy indoor garden setting that will make you feel like you’re sitting right in your own backyard. Start the day off right with a cup of their delicious brews and their classic porridge bowl served with fresh, local berries, sliced banana, toasted coconut, roasted almonds, cardamom-infused maple syrup, and cacao nibs. The mom-and-pop grocer is having a revival in Mount Pleasant (also Chinatown — see below). 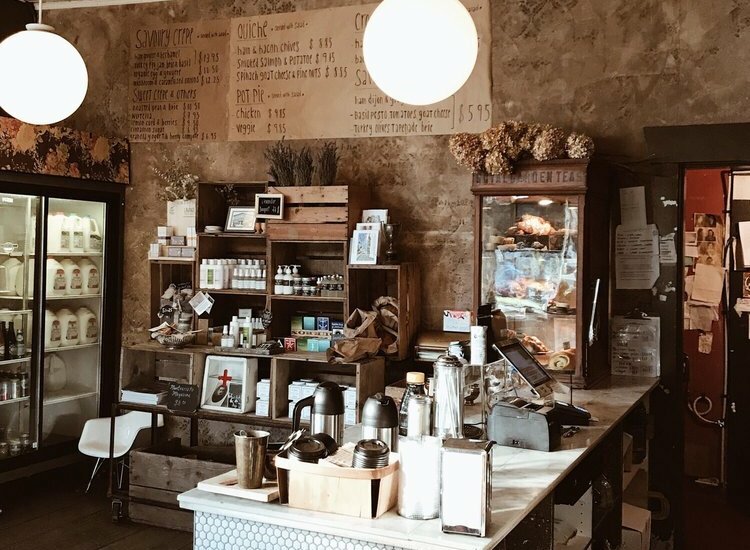 Stop by the little corner store just off Main and 10th Ave. to pick up a few pantry staples, but stay for the traditional cappuccino. The yam quiche is worth the extra coin and the pastries are baked in-house daily. Also, remember: these guys prefer human connection over a Wi-Fi connection, so bring a friend or a book rather than a laptop. A wall of potted plants, wooden tables, and a pair of hanging wicker chairs make for a pretty cute spot. Pallet Coffee supplies all the beans at this West Broadway coffeeshop and all the usual wellness drink suspects fill the menu for non-coffee drinkers (fresh-pressed juice, smoothies, kombucha). For something more unconventional, the Black Rose Latte is a standout with activated charcoal, rosewater, house-made almond milk, and just enough white chocolate to sweeten the frothy drink without overdoing it. Italians do it best. And this independent grocer-slash-cafe is taking Italian tradition to Chinatown. The deli offers fresh, home-cooked food (kinda like your average grocery store, but with less oil and sadness) and all their coffee drinks are signature Italian roasts, “no coffee art needed”. Need more convincing? How about the great outdoor patio, milk (and alternatives) on self-serve tap, and classic aperitivos for the late-night crowd? Revolver on Cambie St. is a fixture on any “best coffee” list in Vancouver. And for good reason. These guys regularly rotate their menu and have enough brewing equipment to stock a chemistry lab. Indecisive? Try the tasting flights: choose one bean brewed three ways or three beans brewed using the same method. 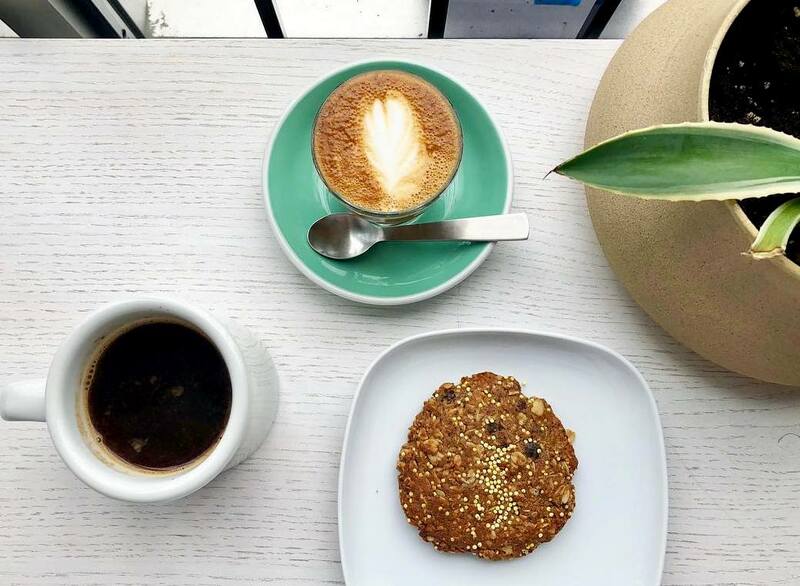 Fitt Tip: craving Revolver-quality coffee but stuck in West Van? Check out Crema, their sister store right by the Ambleside Beach boardwalk. Have you spotted the upside-down heart in neon purple shining from the corner windows facing Victory Square? 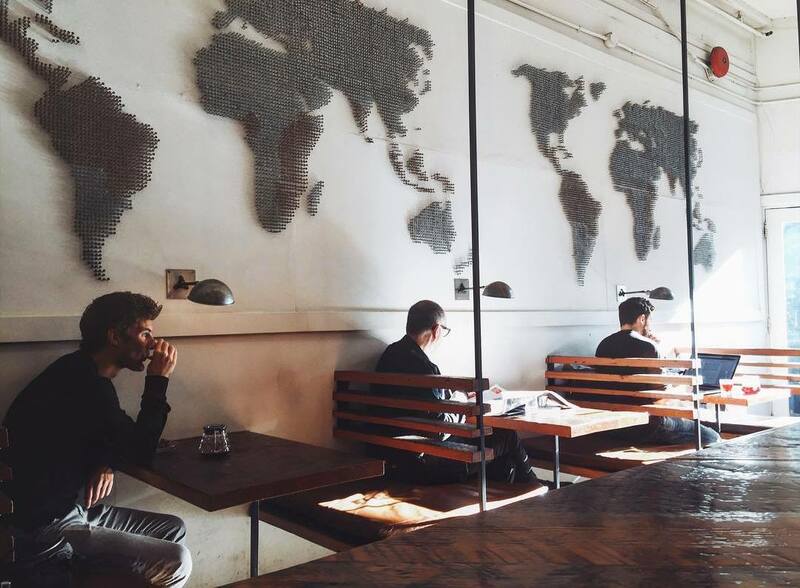 Nemesis is a coffee shop opened in Gastown by seven pals coming from different corners of the city’s coffee scene. The vibe is open and minimalist with a low-top center bar, hanging plants, and old-school hip-hop playing on vinyl. The spot is so hip it might have been labeled pretentious if the staff wasn’t so honest-to-goodness friendly (and happy to help you figure out the the expertly curated coffee menu). A musette is the bag full of food that cyclists get during a road race — and also the name of this everything-bikes cafe by the Burrard St. Bridge. Musette is made for cyclists who love a strong espresso. 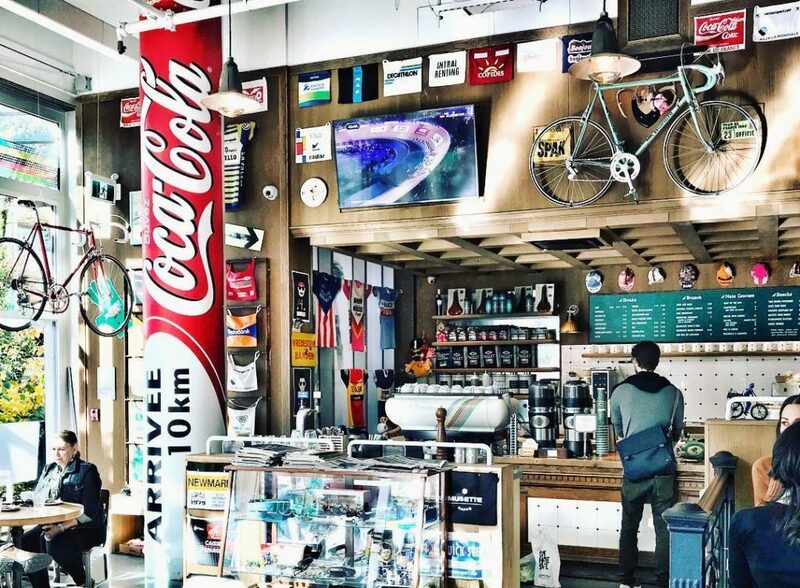 Bikes hang from the walls, road bikes are up for rent, and shop swag includes cycling jerseys. And still, none of it outshines the simple, but delicious, coffee menu. Le Marché is a community staple for upper Main St. This small Parisian cafe is tucked into the residential neighbourhood east of Main and 28th streets. Quiches, crepes, and croissants are up for order — they’re like a high-end European patisserie but without the mile-high prices and snootiness. Bring the whole family (toys and crafts welcome) and all your neighbourly vibes to this rustic-chic corner store. Intimidated by espresso culture? Start your education at Milano, the only spot in town with a bar sampling eight different espressos. 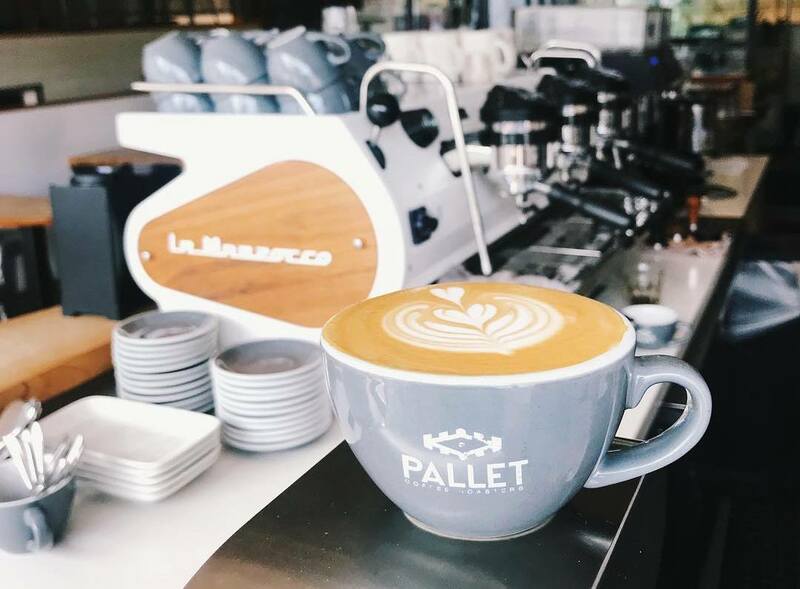 The Italian-style roaster has three Vancouver locations including cafes in Gastown and the West End Vancouver, but the flagship roasting facility and coffee lounge in Denman is the place to be. 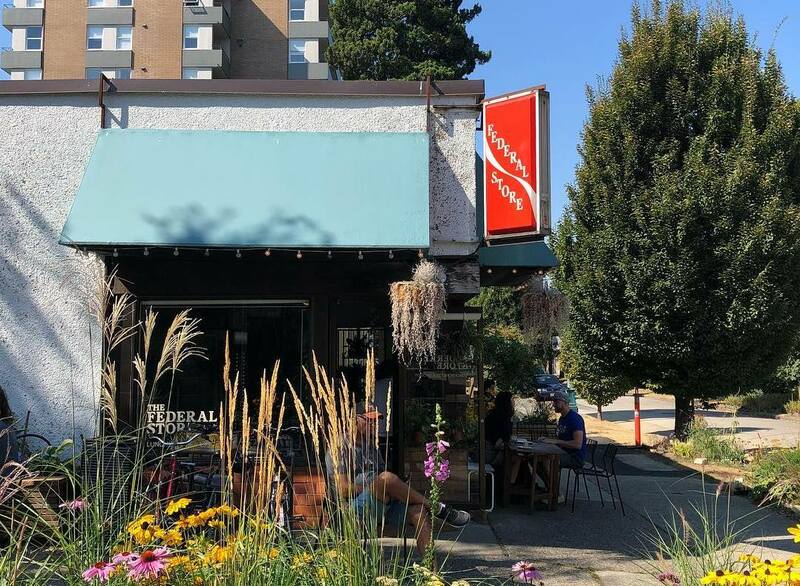 The space is always full of people working, meeting, or chatting, and the patio backs onto Jonathan Rogers Park with a view of the downtown skyline. Hard to beat. 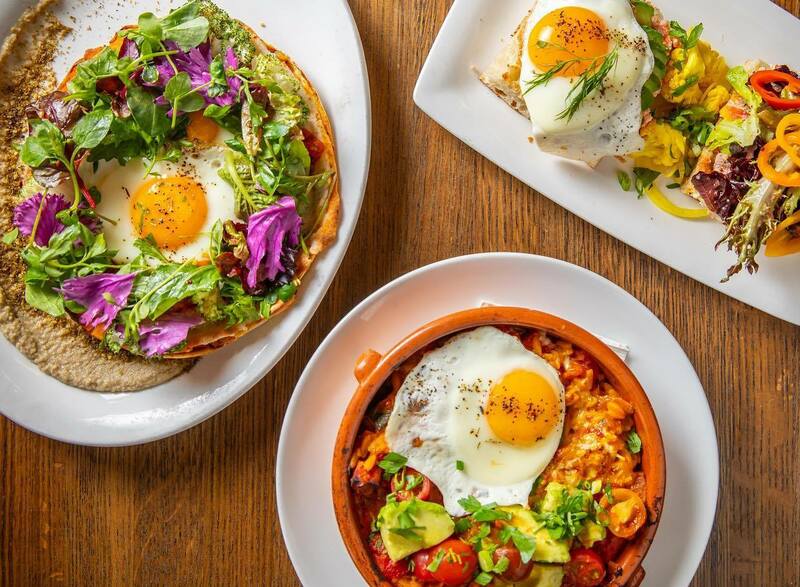 First and foremost a brunch favourite, expect a long wait all day, every day, but trust us — the liege-style waffles and flavoured lattes are worth the wait. Choose a variety of toppings for your waffles and house-made syrups for your beverage (lavender and salted caramel are top picks for both food and drink). And the Mediterranean menu has a good savoury spread if your sweet tooth needs a timeout. 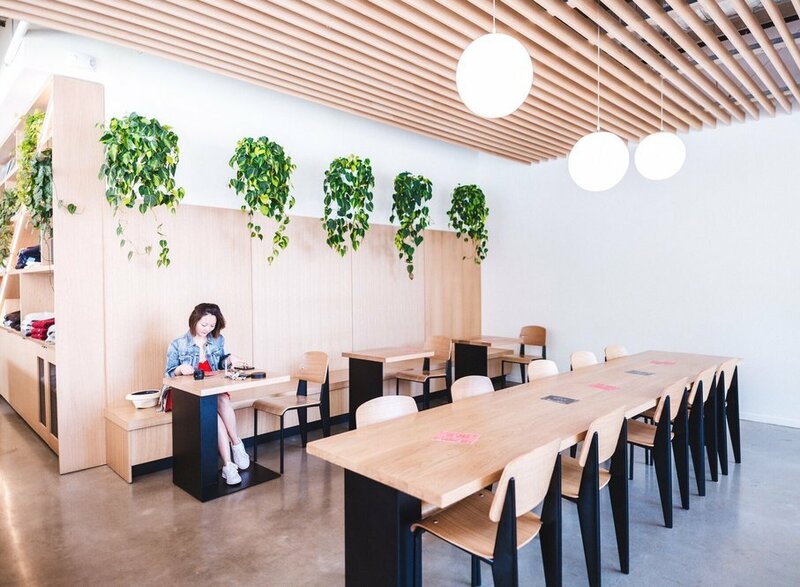 This is the co-working cafe you choose when you want to pair tech with coffee, in more ways than one. Street level: the coffee bar has a room full of tables for freelancers or industry events and a third-wave (coffee-as-science) pour-over machine that’s one of only TWO in Canada. Above the co-working-friendly space is BrainStation, a tech school and digital industry hub. Think airy and modern and full of tech-designer types. 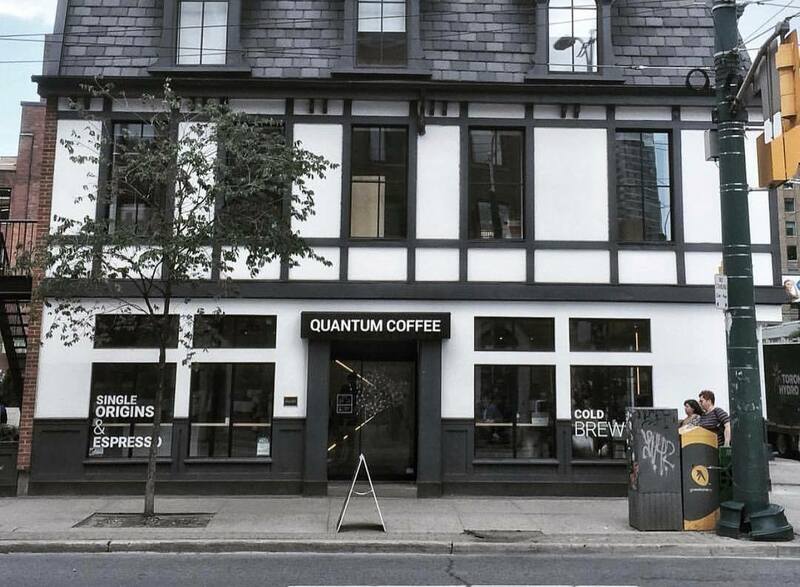 Quantum is also jumping on the education train by offering brewing courses out of their downtown hub. Local roaster Matchstick lives at the hub at Fraser and Kingsway. Most people only pass by the area on their commute, but there’s a surprising amount of good food and parking space to make a pit stop. Grab a seat at Matchstick’s long communal table and definitely consider anything served on the house-baked bread. FYI: these guys have equally beautiful spaces in Chinatown and up Main St. by Riley Park. You may know them for their signature sourdough sold across Vancouver, but this bakehouse also has a strong coffee menu. 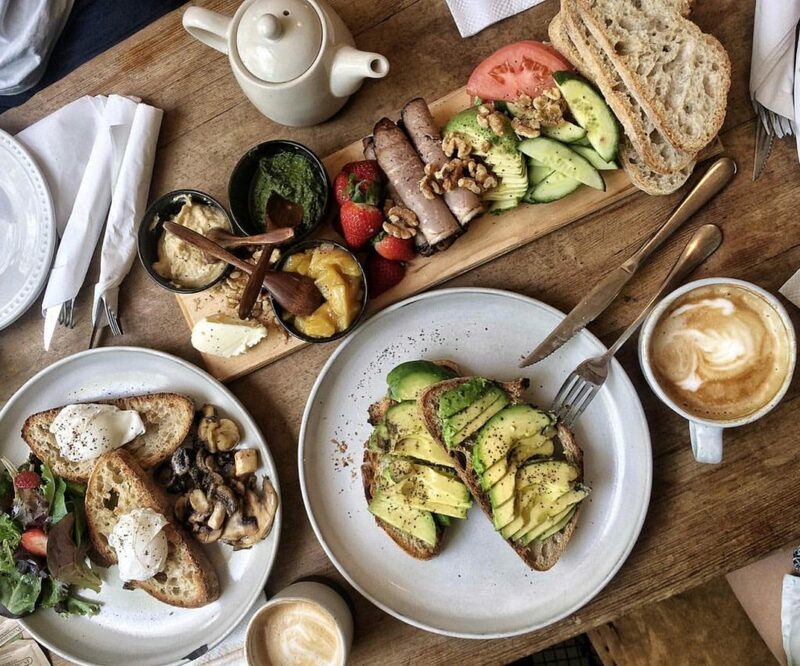 Sure, get the fresh bread topped with avocado and poached eggs or the Picnic Board Lunch, but don’t skip the caffeine fix from local roasters. 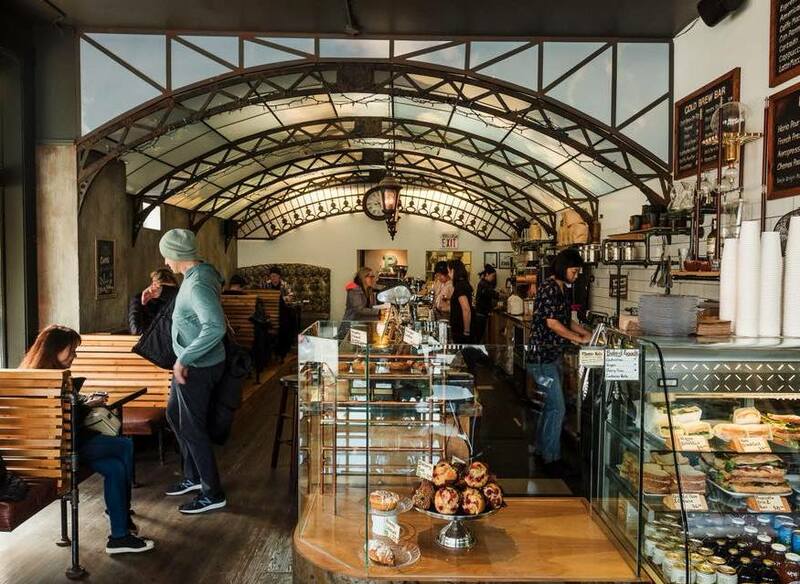 Situated on the the edge of the Downtown Eastside, the heritage building is laid with the original tile floor and a dim but cozy atmosphere. Fitt Tip: order a “Suspended Coffee” so someone less fortunate in the neighbourhood gets a cup of joe on the house. Aubade is just a man, his countertop bar, and a handful of stools — all nestled inside a Chinatown antiques shop. But the coffee that comes out of this place is seriously good. 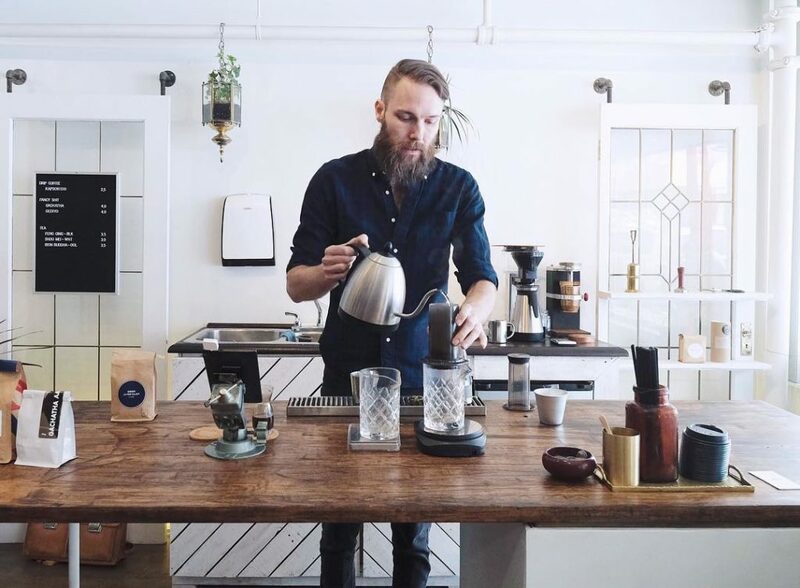 This (mostly) one-man show has high-brow coffee menu and AeroPress workshops. Pull up a stool to chat or browse the vintage speakers, animal skulls, and reclaimed furniture that fill the shared space. 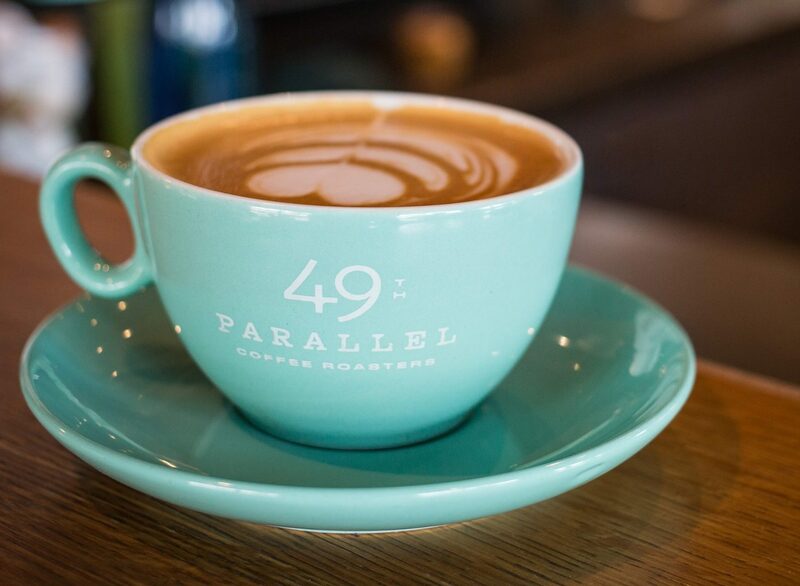 Lucky’s Donuts lives at 49th Parallel. And if you’re not already drooling, here’s some mental eye candy: PB&J, Lemon Meringue, Apple Bacon Fritter. The coffee is pretty damn good, too. Expect a line, and choose from a solid list of in-house roasted beans. 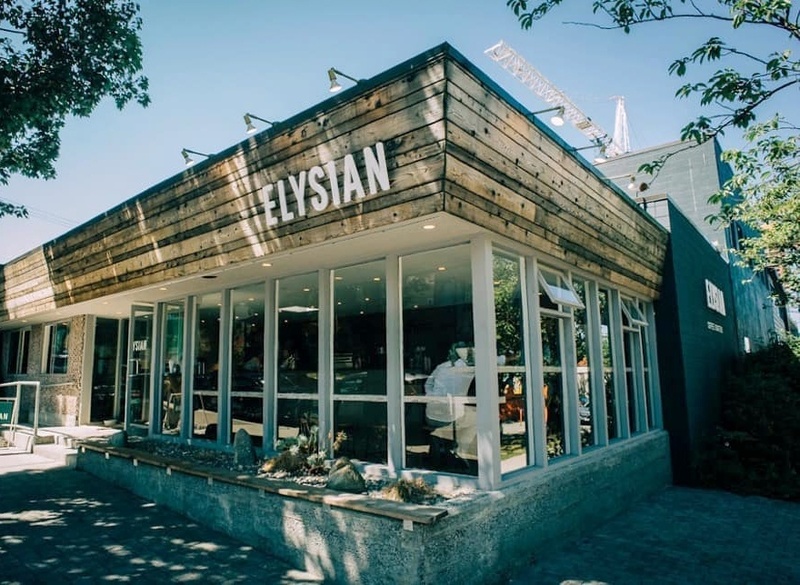 Bonus: both their Kitsilano and Main St. locations have killer patios, and their new downtown digs serves brunch. 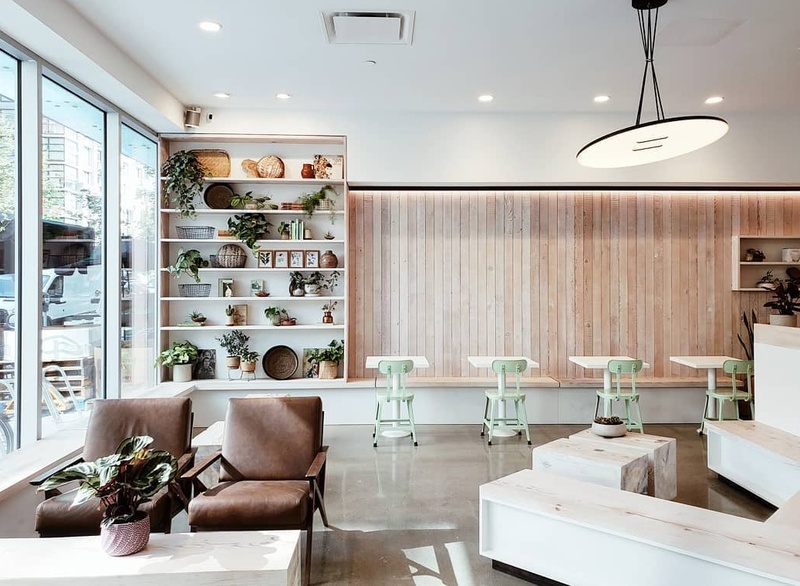 Discover this bustling coffee roaster at one of their four locations on Burrard St., West 5th Ave., West Broadway , or Ontario St. All of their shops are super-sleek and modern — the perfect place to cozy up with a book and a good cup of joe. 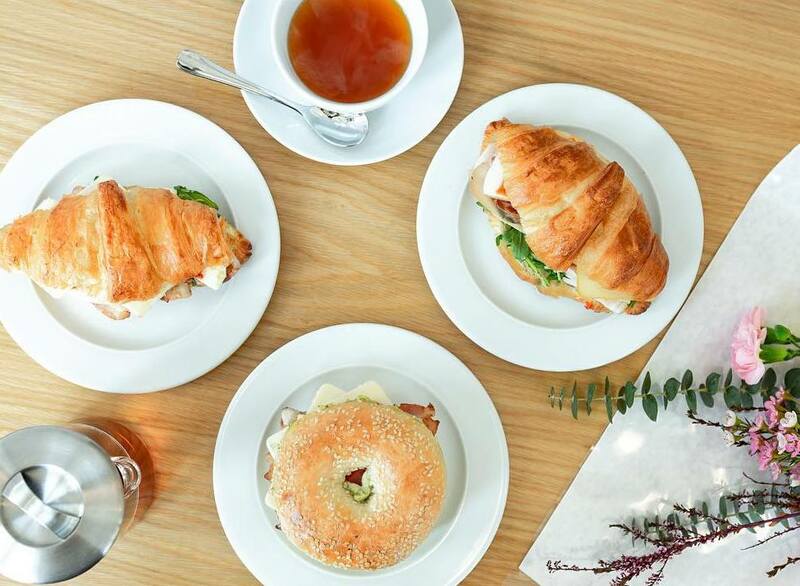 Besides coffee, dig into a selection of grilled sandwiches and fresh pastries that are to die for. 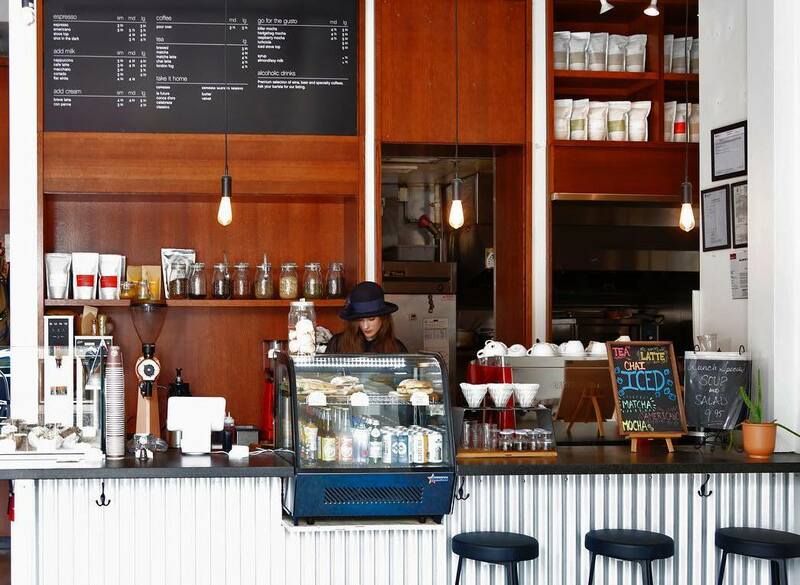 Another Gastown staple has you covered if you’re craving a latte. Looking for something less traditional? Try the nitro cold brew — the nitrogen makes the slow-brewed beverage super smooth (it’s like the Guinness of coffee). Between the heritage building, wood-framed seating, and high windows, Timbertrain is the epitome of photogenic. Fitt Tip: the streetside bench is a neighbourhood favourite for catching some afternoon sunshine. Sit in the wood-slat benches under iron ceiling beams and a painted blue sky while you sip an espresso or cold brew. Platform 7 is like a train station but with better coffee. Seriously, the cozy Kits location replicates a Belle-Époque Parisienne train station, while the original East Vancouver shop is built in Victorian London style. Order up Stumptown roasts (of Portland fame) and never subject yourself to the usual watery drip again. 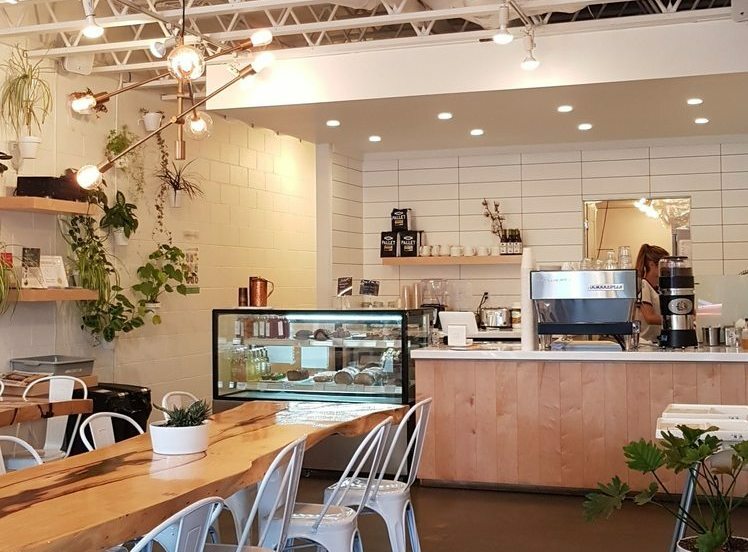 This Kits cafe is winning over the hearts of Vancouver coffee-lovers with their specialty brews. 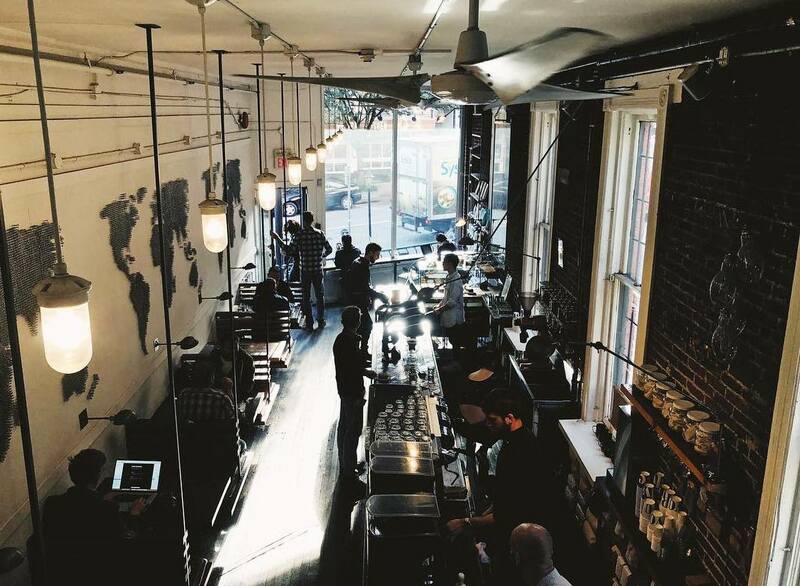 Using Heart Coffee Roasters from Portland, this spot’s thoughtfully-crafted cups of caffeine are hard to top. 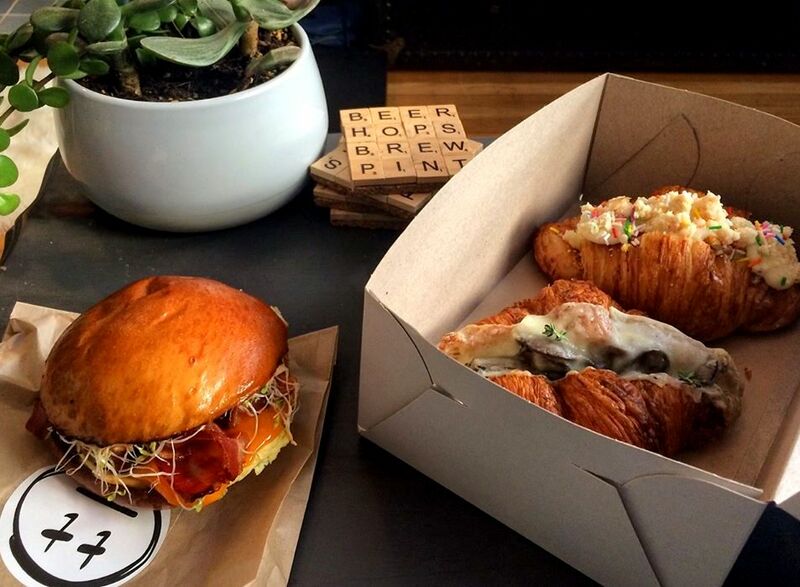 But you’re looking for a bite, they also have an awesome selection of eats like their Avocado Croissant, Matcha Doughnut, Everything Bagel Bomb, and a zesty Lemon Chamomile Cronut. If you’re in the mood for something more savoury, dig into one of their breakfast sandwiches: egg or smoked meat.